It snowed this week. I tried to ignore the forecast, and that worked until it actually started precipitating, and sticking. The snow didn’t keep me, or many others, from attending the West Hartford Chamber of Commerce’s “Turkey and a $20” fundraiser at Grant’s, and that’s what prompted this week’s feature photo and blurb. The weather did delay the CIAC Class LL boys soccer championships, which was played Sunday afternoon rather than Saturday morning. (Story and photos here.) Hall was playing for the championship for the first time since 1983. Sadly they lost to perennial champ Glastonbury, but it was still great to have a West Hartford team playing on that stage, and there were lots of fans who came to support the team (even my son, who was a former Conard soccer captain but came to cheer on his former rival). Congrats to the Hall boys on a terrific season! I’m still thawing out from photographing both sporting events, and every time I look at the forecast for later this week I start shivering! I want to use the rest of this introduction to talk about press releases. 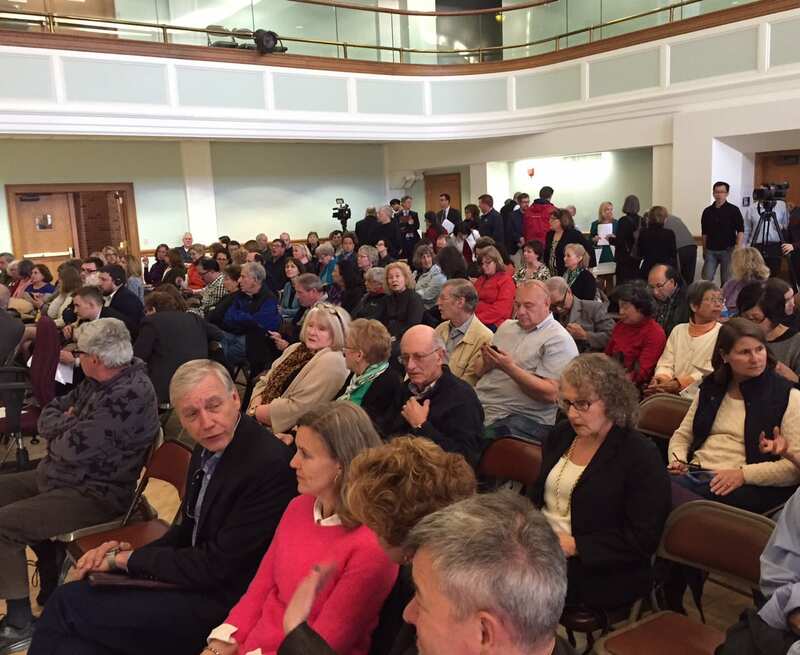 Last week I received 39 press releases – not including the news releases from elected officials or the state police, or ones that I could immediately determine had nothing to do with West Hartford. With that type of volume, please understand that we can’t publish them all. Some items go into Business Buzz, some are published as separate posts, but please understand that what is published depends on how much news there is that week because – first and foremost – this is a news site. Breaking news, and time-sensitive news, always will take precedence. If you want to have the best chance of having your press release published, please keep it “short and sweet” and as well-written as possible. I received one release recently that read like a legal brief. Remember: who, what, when, where, why is what needs to be included. Please also include at least one good image – as a separate attachment – that measures at a minimum 300×300. If you are sending a cellphone photo – which in most cases is perfectly fine – use the “large” or “actual size” setting. Please do not send images as PDFs because then I will have to take a screenshot and the quality of the image will be greatly diminished. Also, please send press releases in Word or pasted into an email. PDFs lose all of their formatting when they are copied and pasted. And please don’t try to create a fancy layout with images sprinkled throughout a Word document. We have our own style of layout. Finally, sales offers are not news. Promotions that include a donation to a nonprofit will be published, but if you are a business and having a sale or a special offer, we are happy to send you a sales kit so that you can advertise that on the We-Ha.com site. Also, please note that we will only be sending out two newsletters this week, on Monday and Wednesday. The news doesn’t take a holiday, but the We-Ha.com team is trying to take Thursday and Friday off for some much-needed family time, and we hope our readers can do some relaxing and/or holiday shopping. Of course we will be responding if there is breaking news. It’s Thanksgiving week, and a time of year when the spirit of giving is stronger than ever. 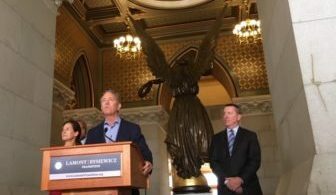 I’d like to take this space to remark on the generosity of our local businesses – the small businesses, as well as some of the larger companies. 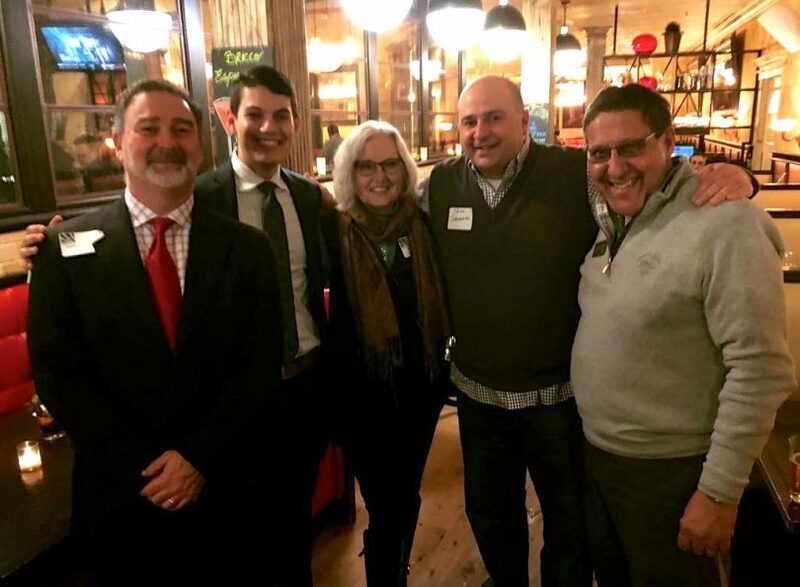 As noted in the intro above, on Thursday, in the middle of the season’s first snowstorm, the West Hartford Chamber of Commerce‘s “Turkey and a $20” held an after hours – and that event financed 81 of the 1,200 turkeys that Billy Grant, who hosted the event at Grant’s (complete with his signature mac and cheese), has committed to donating to Foodshare this year. Ray Lamoureux, marketing director for Westfarms, attended the after hours as well – and dropped of a $1,000 donation. 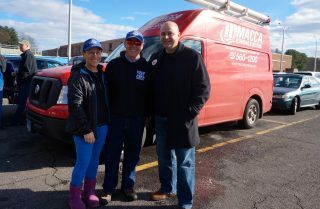 There are countless other local businesses that are so generous throughout the year, but one more I would like to note is Macca Plumbing, which for years has hosted a tailgate before the Hall vs. Conard football game. It’s open to the public and they provide the food, but ask that guests make a donation to Foodshare. This Saturday, Foodshare Executive Director Jason Jakubowski (who is a West Hartford resident) stopped by the tailgate. He said he is so thankful for the small events like the one that the Maccas were hosting, which combined have a major impact. Jakubowski also noted that he expected Foodshare to reach its goal of 15,561 turkeys by the end of the weekend, and that $100,000 had been raised toward the financial goal that will support assistance for the hungry and food insecure throughout the area. 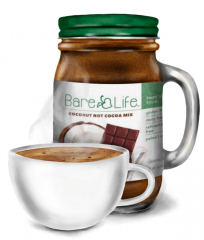 West Hartford start-up Bare Life’s first product – an innovative instant hot cocoa that is organic, non-GMO, dairy free, gluten-free, refined sugar-free, kosher, paleo, and vegan – is now on sale at The Crown Market in West Hartford. 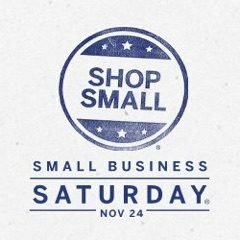 Founder Ali Lazowski will be leading a special “community tasting” on Sunday, Nov. 25 from 10 a.m. to 2 p.m. at The Crown Market, 2471 Albany Ave. “I’m thrilled that the Crown will be making my Bare Life hot cocoa mix available to its wonderful customers, and I greatly appreciate their commitment to providing only the highest quality kosher foods,” said Lazowski in a news release. “The Crown has been a part of my life for as long as I can remember, so this is particularly special. I’m looking forward to our free tasting on Nov. 25, and to reconnecting with people as they shop and replenish at the end of Thanksgiving weekend. And I’m hoping that Bare Life will be on the shelves at Crown and on kitchen tables throughout our community for years to come.” The allergen-friendly food startup began with a crowdfunding campaign last fall, and launched retail sales last month in West Hartford at Essential Health on Park Road. 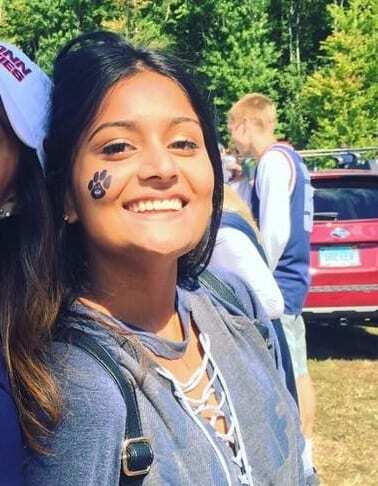 Bare Life was also recently featured on WFSB’s Better Connecticut program. Union Kitchen (43 LaSalle Rd.) 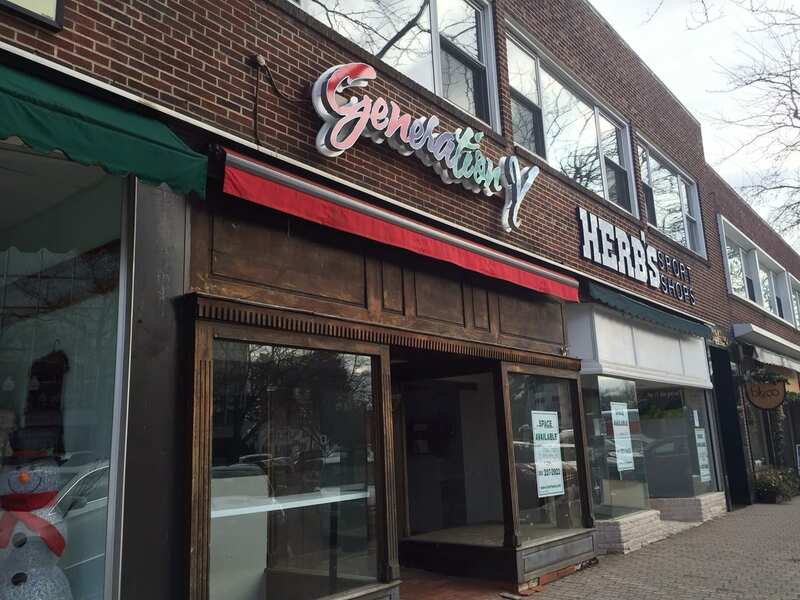 has announced its opening date: Dec. 5. 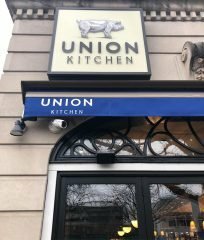 “Union Kitchen plans to pay tribute to a time-honored legacy of service and reliability, that both the Yee Family [of Bean Restaurant Group] and The Picknelly family pride ourselves on,” says Peter Picknelly, restaurateur and CEO of Peter Pan Bus Lines. “We are passionate about building camaraderie and connecting with our clients.” Much more to come as the opening nears! 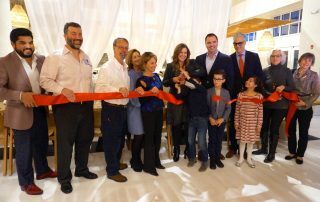 The West Hartford Chamber of Commerce officially welcomed Balos (46 South Main St., in Blue Back Square) on Monday with a ribbon cutting and reception featuring many (extremely delicious) appetizers. In other Blue Back Square news, the shopping destination is hosting a holiday fundraiser called “For Goodness Sake” which runs through Dec. 2. Kenway’s Cause, Foodshare, and My Sister’s Place are the charity partners. Click here for the details. Ideanomics, which plans to build Fintech Village on the former UConn West Hartford campus, announced in a news release last week that Alex Yao has been named as Chairman of the Board of Directors and Brett McGonegal has been named the company’s CEO. The Ideanomics management team and Board met with Dr. Bruno Wu (former co-CEO and executive chairman of Ideanomics) to discuss the opportunity of his leading the China-U.S. relations committee. Although Wu will be participating in a non-governmental organization, the level of interaction with government officials means that he cannot remain as the Chairman and CEO of a U.S. public company. As such, he will be stepping down from his positions at Ideanomics and will concentrate on this prestigious and highly visible role as an ambassador for the benefit of improved relations between China and the U.S. Wu will remain as special advisor to the Board of Directors of Ideanomics and will continue his current role as Chairman and CEO at Sun Seven Stars’, his private, family-held, media and investment company which will remain as the largest shareholder of Ideanomics. “Alex and Brett are exceptional leaders who have demonstrated financial services innovation and global market expertise throughout their careers. I have the utmost confidence that they will continue to drive shareholder value by leading Ideanomics to deliver the types of digital financial products that both asset holders and investors are looking for,” Wu said. Congratulations to the West Hartford-based Simon Konover Company, which received the Corporate Citizenship Award at the Hartford Business Journal’s 2018 Community Excellence & Nonprofit Award ceremony last week. 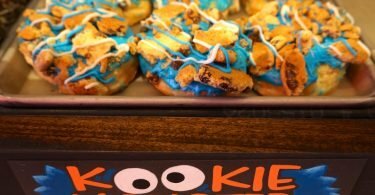 ICYMI – especially since it was published very late last night – we’ve got the scoop on the opening of Donut Crazy. I will admit to some sampling in the course of this research, and my son, Sam, has also enjoyed his chance to be a taste tester. Click here for a sneak peek. 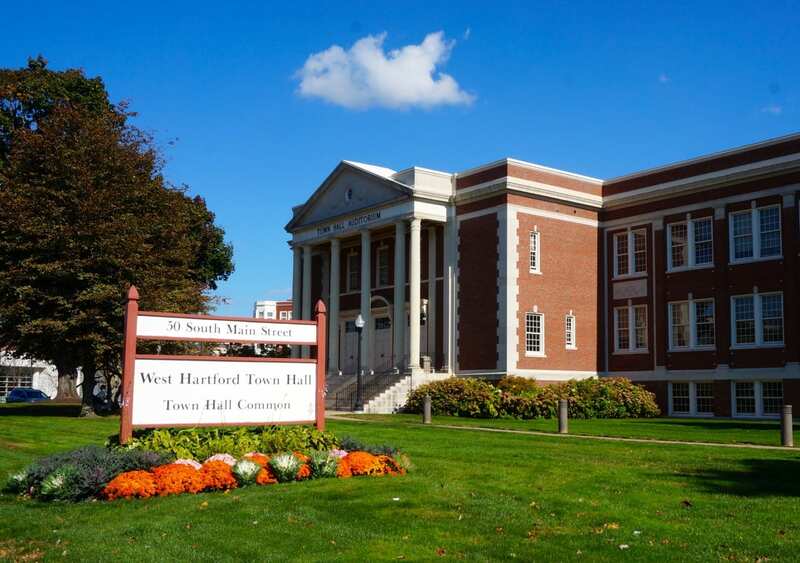 Also ICYMI, Chris Conway has been named executive director of the West Hartford Chamber of Commerce, and will take over the reins from Barbara Lerner on Dec. 3. Click here for the complete story. The video that DirectLine Media made in real time to announce the winners of Best of West Hartford is now available online. Click here to watch!